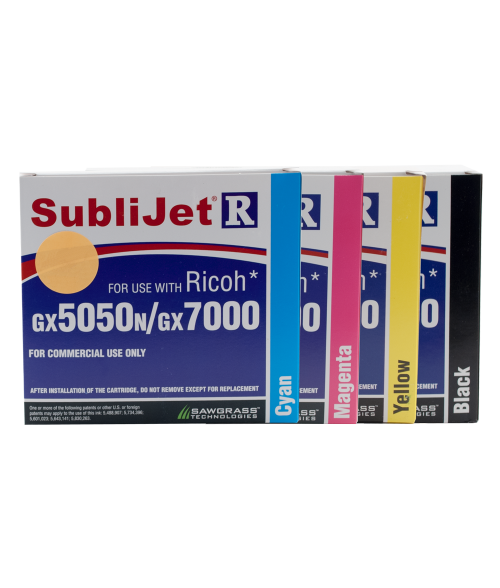 Sawgrass SubliJet-R sublimation inks are specially designed to work with Ricoh printers. They produces high-resolution color images quickly and efficiently. The unique formula facilitates faster printing speeds at a lower cost per print.